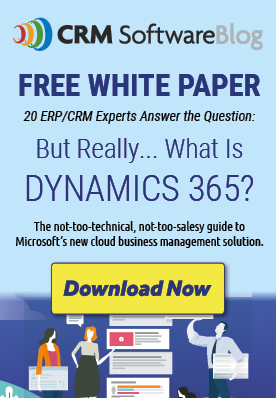 Comments Off on Why Should You Upgrade to Microsoft Dynamics 365/CRM V9? 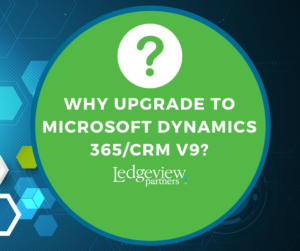 Why Should You Upgrade to Microsoft Dynamics 365/CRM V9? The benefits of upgrading to Microsoft Dynamics 365/CRM V9 are clear. The update has met the top three user requests received by Microsoft prior to the V9 launch, ensuring a new and improved user experience. Now, the User Interface is upgraded, Mobile and Outlook Apps are refreshed, and there are many exciting new features to take advantage of. When considering upgrading to Microsoft Dynamics 365/CRM V9, you may wonder how the updates could affect your system, whether be positively or negatively. Of course, all changes will be positive in the long-run, as long as you run the proper diagnostics tests in preparation for the change. An Upgrade Diagnostic will help you identify where there may be holes in your system that do not translate well with the update. A Cleaner Traditional Interface – There is less white space for users, more text and label wrapping, and the ability to standardized font type and size throughout your forms. Improve Dynamics 365 for Outlook App – The V9 Outlook App offers more stability than previous versions. The interface almost mirrors what you would see on your desktop computer, for example. New Features and More – These are just a few of the things you can look forward to with the V9 upgrade, but new features are typically a Dynamics User’s favorite. Look forward to multi-select picklists, among other new features. This Webinar will walk you through all of the exact changes with the Microsoft Dynamics 365/CRM V9 Update for those considering the move. Whether you are considering upgrading now or in the future, remember there is always the option to skip or schedule the current update. Though, Ledgeview’s top recommendation is to keep your system modernized so you don’t fall behind once you have to upgrade later. If you skipped the last upgrade, for example, it may be time to consider moving on to V9. When you are ready for the V9 Update, be sure to run an Upgrade Diagnostic. Without this analysis, upgrading can be an absolute nightmare for Users and Admins. Items can break without a diagnostic. An Upgrade Diagnostic will show you all the warning signs to prevent complications with your system with future upgrades. If you are still having trouble determining whether or not you need an Upgrade Diagnostic, reference this FAQ Guide for help. Your Dynamics Partner should be able to help you a lot, and, if not, Ledgeview can assist. Posted in Microsoft Dynamics CRM Training | Comments Off on Why Should You Upgrade to Microsoft Dynamics 365/CRM V9?